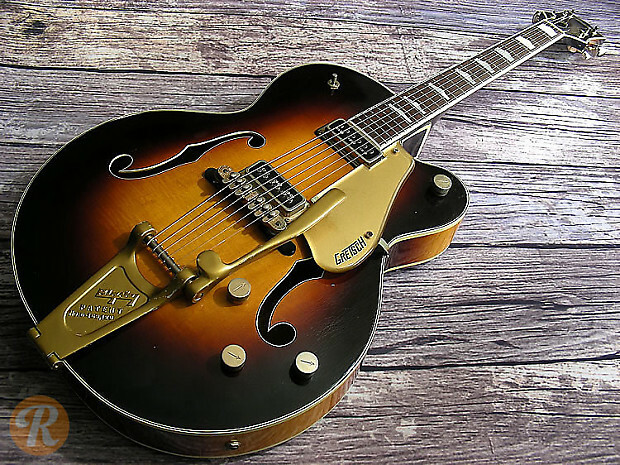 The 6192 Country Club was one of the more conventional archtops produced by Gretsch in the late '50s. The Country Club evolved out of the earlier Electro II and sported DeArmond pickups from 1954 till 1958 when a switch was made to Gretsch Filter'Trons. 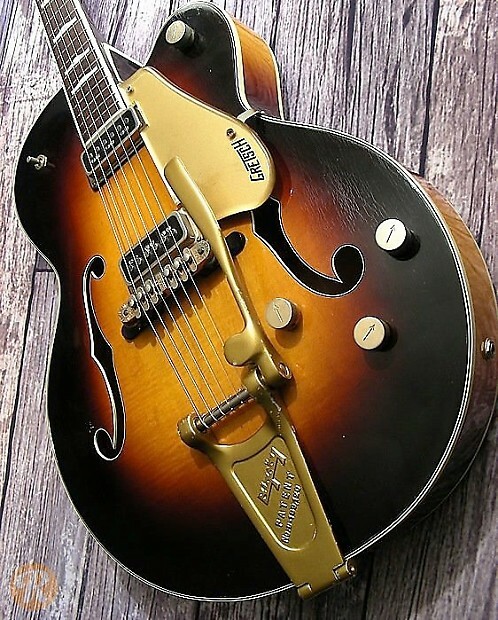 Though not as flashy as some of its counterparts, the 6192 is considered to be one of the finer instruments Gretsch ever made by some collectors. It was also produced in a natural finish as the 6193 and Cadillac Green as the 6196. Unique to this Era: Gretsch Project-O-Sonic stereo configuration starting in 1958. Becomes a separate model in 1959.